2. Hydraulic System: the hydraulic system adopts theGermanyadvanced technology. 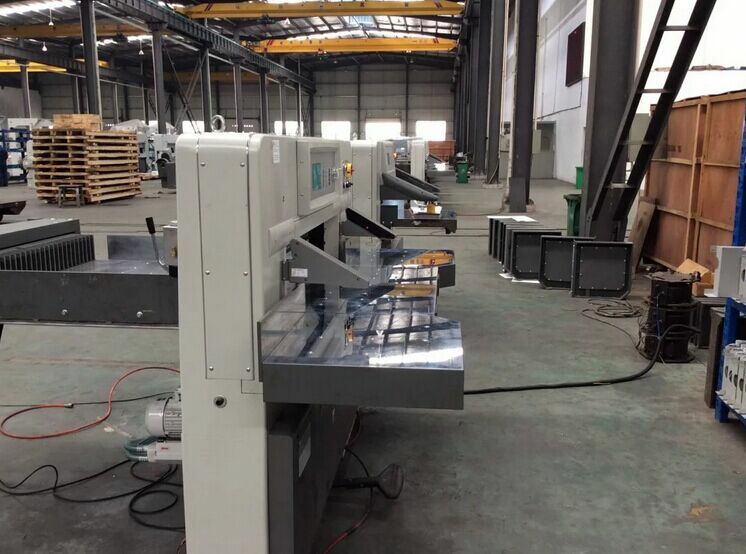 Both the paper clamp and paper cutting device adopt hydraulic. 3. 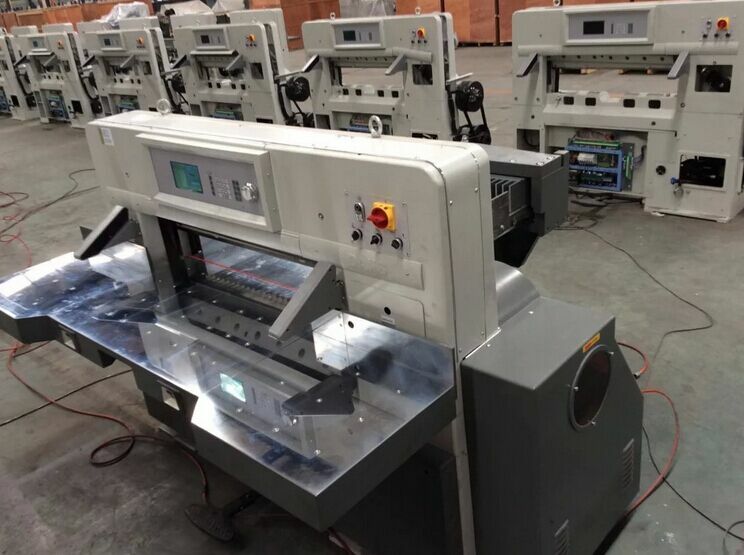 Double linear Guide Device: the paper pusher adopts double linear guide and Grinding screw, which make sure cutting precision. 4. Photo cell: it is equipped with a photo cell safety protection device. 5. over load protection device. 6. Convenient knife changing device. 7. 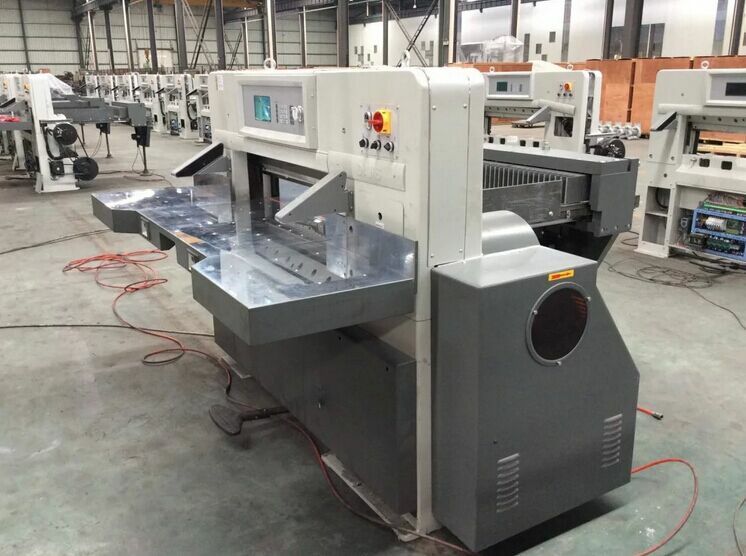 Worktable chrome coated: the worktable and side board surface are all adopted chrome treatment to improve the precision and quality of the machine. 8. Air ball: air balls are installed in the worktable. 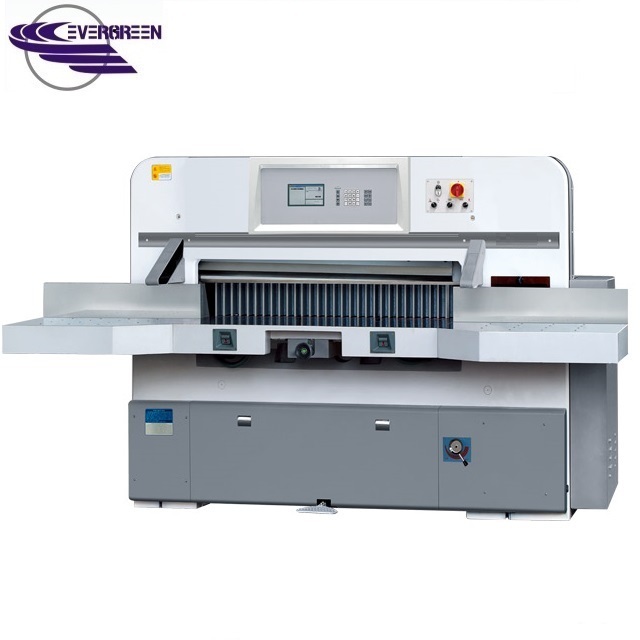 In this way, the paper sending work will be easy and accurate. 9. Cutting controller: both of the hands of the user operate the machine. It can cut paper one time. 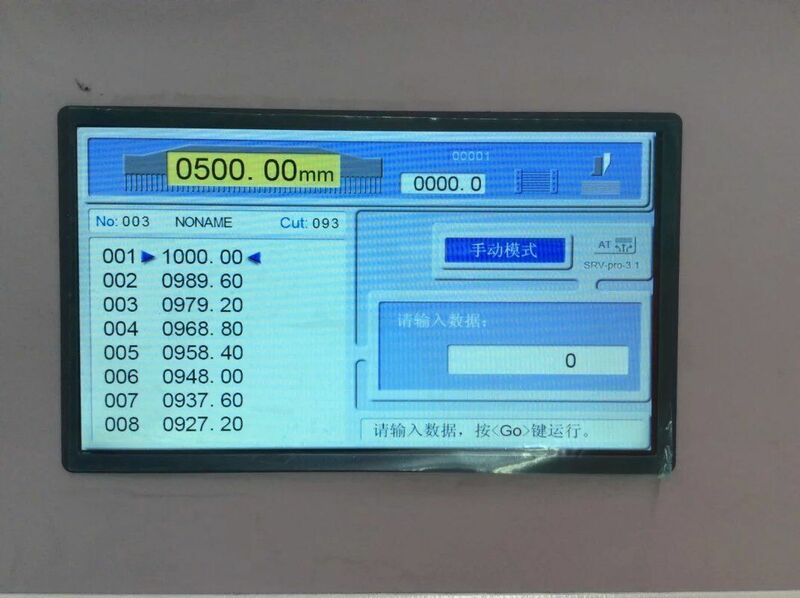 10．Electronic knife lock: when the machine is malfunction, the electronic knife lock will lock the knife, and the machine will stop cutting to protect safety.